Scientists at Sapporo University Medical School in Japan may have developed a method to stop the progression of liver cirrhosis, and in fact, to actually reverse the disease.1 Until now, the disease has been considered incurable (at least by the medical community) with liver transplant the only real option. Cirrhosis occurs when the liver becomes overtaxed by excessive consumption of alcohol or carbohydrates, or in response to certain diseases such as Hepatitis B and C. Hepatic stellate cells2 within the liver respond to liver damage by producing collagen, a fibrous, sticky substance, which in turn scars and hardens the surrounding tissue. To address this condition, the researchers developed molecules that actually block collagen production. They then found a way to encase the collagen-blocking molecules in vitamin A -- which the stellate cells naturally absorb -- and injected the "disguised" molecules into rats that had cirrhosis. The "tricked" stellate cells absorbed the disguised molecules, which in turn blocked continuing collagen production. Apparently, after receiving the collagen-blocking molecules, the liver started to regenerate tissue. "We were able to completely eradicate the fibrosis by injecting this agent ... we cured them of the cirrhosis," researcher Yoshiro Niitsu said. He explained that the liver both creates the collagen and creates enzymes that dissolve collagen, once the cirrhosis is cleared. My goodness, it sounds like they've all been visiting my website. As I've been saying for the last thirty years, the liver has an "astounding ability to regenerate itself -- if given a chance." Now we see "scientific" evidence that by removing diseased tissue, the liver has the amazing ability to build itself anew. This makes clear how much benefit you can reap by improving your diet and cleansing your liver, even if your self-care hasn't been exemplary until now. As I detail in Lessons from the Miracle Doctors, the liver is the largest organ in the body and certainly one of the most important -- if not the most important. The liver is the body's primary filter, responsible for over 200 functions. It regulates fat stores, destroys toxins and removes waste, aids in digestion by producing bile, stores vitamins, maintains hormone balance, produces immune factors, and so on. When the liver becomes damaged due to poor dietary choices, or from overeating or overdrinking, by toxins or drug residues, the toll on health is disastrous. To avoid these complications, give your liver a chance to heal itself. 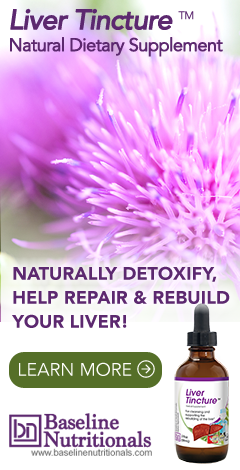 Avoid liver stressors by cleaning up your diet and exercising, cleanse and rebuild your liver by doing a couple of liver detoxes each year, and provide regular nutritional support for your liver with herbs such as milk thistle, dandelion root, the perennial herb picrorhiza kurroa (sometimes called kutkin, or "Indian milk thistle), and artichoke or beet leaf. ""To address this condition, the researchers developed molecules that actually block collagen production. WHO DID THIS AND IS THIS AN AVAILABLE REMIDY? Use Milk Thistle.......twice a day. As the link above explains, the reasearch was conducted by a Japanese medical school. The procedure has only been tested on rats. It is not available for use on humans yet. The links in the above the comments and below the blog tell you exactly what you need to know to deal with cirrhosis. As explained in Lessons from the Miracle Doctors, if the liver is not too far gone, it has the ability to repair itself through regular detoxing and the use of herbal formulas that contain liver regenerative herbs such as milk thistle, dandelion root, the perennial herb picrorhiza kurroa (sometimes called kutkin, or ""Indian milk thistle), and artichoke or beet leaf. Check out the link on liver detoxing to see exactly how to clean out the liver and where you can find suitable high quality herbal liver formulas. You also might want to supplement with thiamine, which has been proven to be helpful for people with cirrhosis. As the link above explains, the research was conducted by a Japanese medical school. The procedure has only been tested on rats. It is not available for use on humans yet. 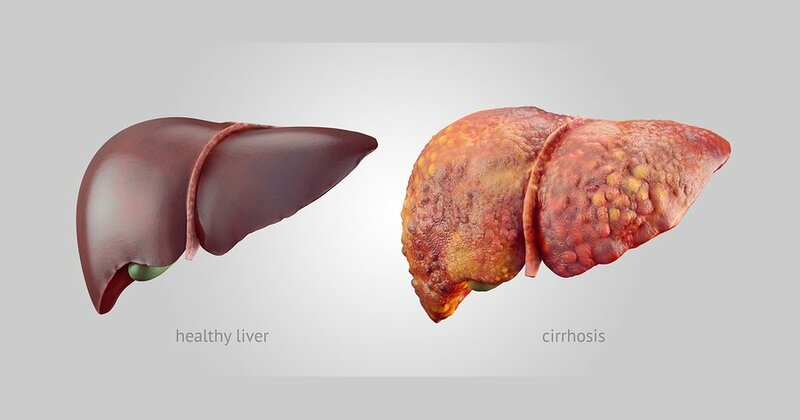 The links in the above blog tell you exactly what you need to know to deal with cirrhosis. As explained in Lessons from the Miracle Doctors, if the liver is not too far gone, it has the ability to repair itself through regular detoxing and the use of herbal formulas that contain liver regenerative herbs such as milk thistle, dandelion root, the perennial herb picrorhiza kurroa (sometimes called kutkin, or ""Indian milk thistle), and artichoke or beet leaf. Check out the link on detoxing to see exactly how to clean out the liver and where you can find suitable high quality herbal liver formulas. You also might want to supplement with thiamine, which has been proven to be helpful for people with cirrhosis. For one, you need to begin praying every day specifically for help from God. I have cirrhosis too. There are a number of things he can do. I almost died 6 years ago but am still alive and am currently trying something that may cure him. Hi I have been recently diagonised with. NASH liver cirrhosis, I vomitted blood on 18th Dec , and I passed out , was rushed to the hospital,given 5 bottles of blood .endiscopy done . The varices that was bleeding is glued.i am home now on a strict diet. I am a diabetic type 2 obese. How can I control . Though I agree with praying to to my GOD whom is known by MANY names, change of diet-life style-and abstinence from alcohol-shellfish-Tylenol has a major part to play in this also. There is absolutely no way to reverse this condition but can keep it from progressing any further. The only way to verify what stage your cirrhosis is at, is to go thru a biopsy, which is scary but is the only way. Please research complications of biopsy and become informed on pro's and Con's of said procedure. GOD bless and good bessings. now is he's been cured? I have diabetes 2 and liver cirrhosis , do you have any herbs to regenerate the liver i am begging you because i don't what a liver transplant. Please Help. Thank you. 2 weeks every day not eating and only some easy food in the evening. Only Water is ok to drink. Thisvbody preparation for big fasts. Then you do 20 days fast no food whatsoever, only water, mineral water, is much better but only not salty mineral waters ok to drink. then you have to do 2 more times 20 days. Did you read the bottom of the article and check out the links that give more information on what options you have? Mahesha, I have done a lot of research with hopes in finding something that would reverse cirrosis of the liver, look up "Serrapeptase". It states that it can reverse cirrosis. I hope this helped! I to have severe cirrhosis of the liver. I caught Hep C from blood products while serving on active combat duty with the USMC. Using the Antivirals for 2 years got rid or the virus, 7 years virus free, the cirrhosis was extreme with my prognosis for a long life not considered without a transplant. After much research I contacted a Doctor and determined that stem cells from the umbilical cord would benefit me. It has added many years to my life and had a pronounced positive effect on my quality of life. Most of the symptoms have disappeared and my liver panels look good. I would encourage anybody to look into this. China has put a lot into this area of study and that is where I would go if airfare from US was not so high. There are several good options out there no matter where you live. In the US it is not covered by insurance so I had to pay cash. I managed to get it in two stages and was 1/2 the money for ech stage. This made it affordable to me. Hi! My husband has been diagnosed with liver cirrhosis 11 months ago. He had two episodes of portal hypertension since then. The doctor recommended a liver transplant. Do you know any any alternative medicine that could help reverse the damage on his liver? I can't make sense of exactly what quantities of these substances are effective. Any idea/info? Hi There, Could you please tell me anymore about the stem cells done in China and also what are the antivirals and how to get them. Thanks. My father has been diagnosed with liver cirrhosis 1.5yrs back and since then had many episodes of bleeding varices because of portal hypertension. Currently he is under medication to maintain the pressure and restricted diet. As you have mentioned stem cells from the umbilical cord helped you in your condition, could you pls share the details of the treatment you went through and where? Also you had your umbilical cord preserved? I will be very grateful if could pls share the details of the treatment and also the doctor/hospital who treated you. Many thanks in advance and look fwd to hear from you very soon.